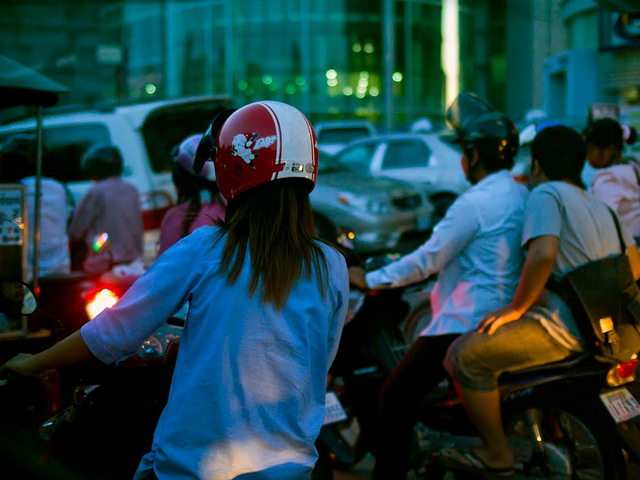 Cambodia is a country that is tinged with sadness, but has an underlying strength. It is a country that has experienced terror far beyond what most people could even imagine in this lifetime. Despite the hardships, the tragedies and the many sad tales from the Khmer people and its history, it is a nation that pursues a dream to rebuild a nation for the better. This nation and the experience will forever be tainted by the wrongdoings of the Khmer rouge. However as this nation opens up its doors to welcome international tourists, there is an opportunity for people to experience a fondness of the country and the Khmer people that was there long before there were any signs of tragedy. 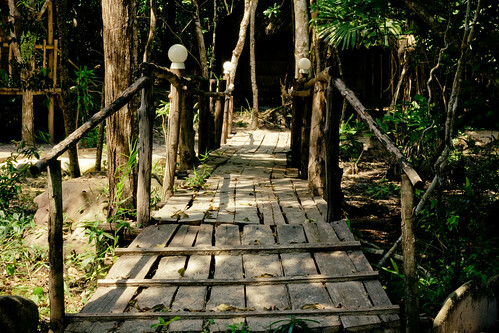 Explore Cambodia and see the great things that this country has to offer. 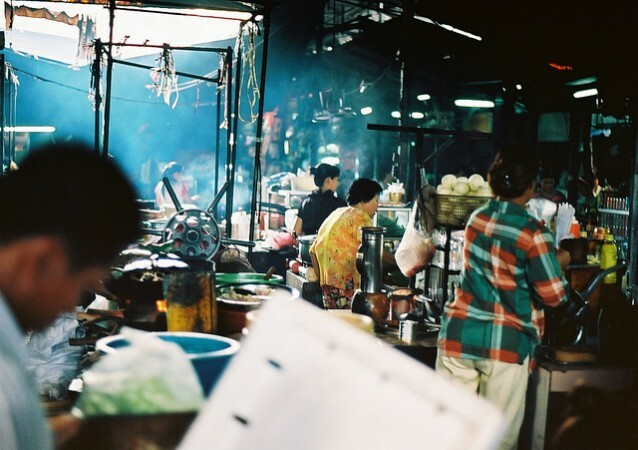 If you are looking for some cheap eats in Phnom Penh, then head down to the local markets. Vendors will try to get your attention for your custom of food and gifts. There are cheap eats in a number of side stalls. Take a stroll down towards the Russian markets. 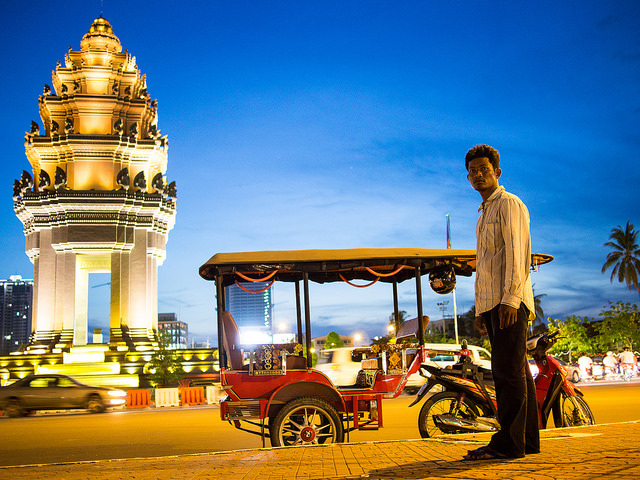 This is an amazing place to check out in Phnom Penh. 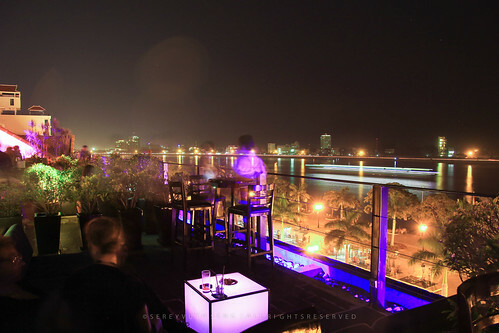 Overlooking the river and situated on the rooftop, this is an amazing place to watch the city by dusk and with the moonlight. On the streets below you can hear the hustle and bustling of street merchants and savvy customers. On the top deck it is a relaxed and pampered atmosphere that is managed by a restaurateur from Mayfair in London. 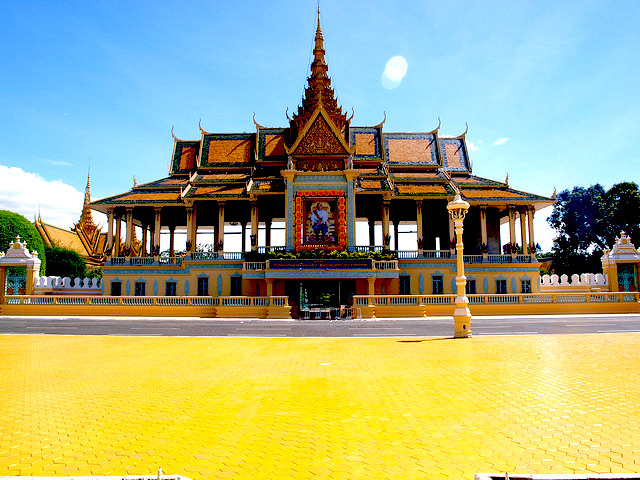 The palace in the middle of Phnom Penh is a wonder to gaze upon. Take a trip to the front of the palace in the early afternoon as vendors and people set upon the site and socialise with picnics under the setting of the sun. This is an amazing sight during the night. Head down on your motorbike and enjoy the wide-open space under the moonlight and take in the LED lights that radiate off the statues and monuments in the centre. Feel the wind in your hair and get the true experience of navigating like a local down the different streets and passageways. Be daring and get lost (relatively) and find your way back. Meet a local or two along the way. 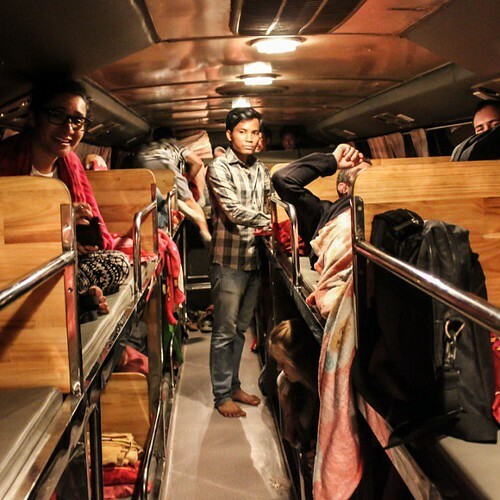 If you are planning to visit Sihounoukville, it is likely that you will need to take a sleeper bus. It is highly recommended that you get a bus that is as VIP as possible (meaning that you may get extra leg room and better drivers). Be cautious with the travel companies that you choose to travel with and check the reviews carefully. Once you arrive, you can either walk down to the city or catch a taxi, but beware of the taxi drivers trying to rip you off! Once you reach downtown, you will arrive at the beachside backpacker haven. 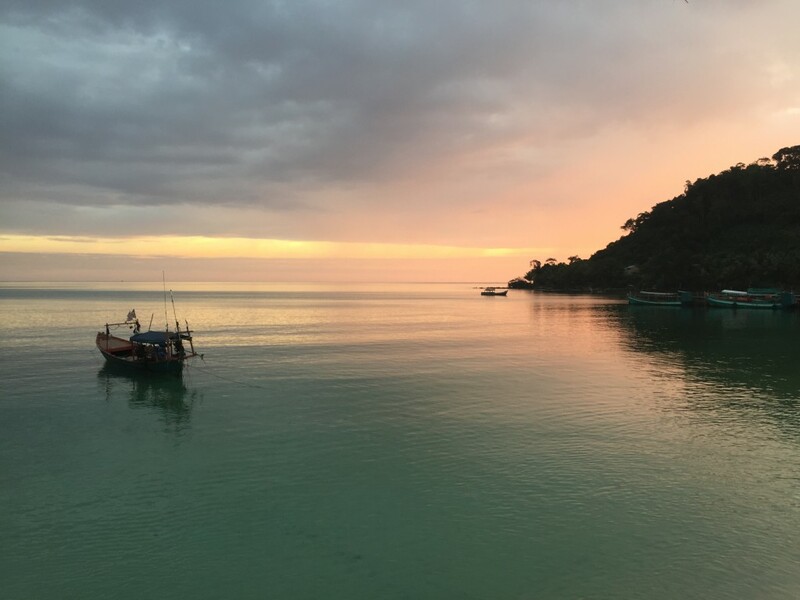 Take your journey that bit further and take the boat to Koh Rong Island. Get surrounded by backpackers lodging along the beachside and jam in the many beach bars by night with other festive backpackers. If you are a bit more daring, pack your bags and do a survivor trek over the mountain in search of the bungalows where they filmed the survivor series. It involves a 6km walk, but the sights are well worth it. 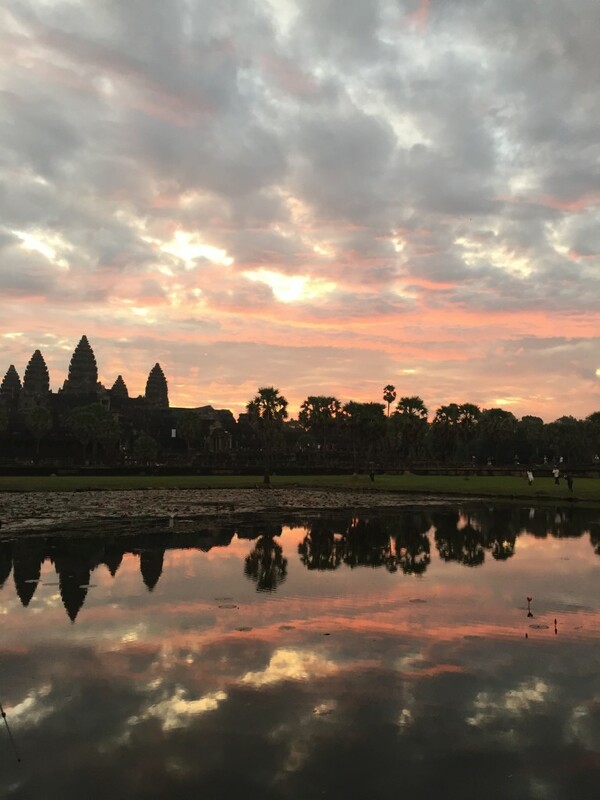 One of the majestic wonders of the world, Angkor wat is a must see place for anyone who decides to visit Cambodia. 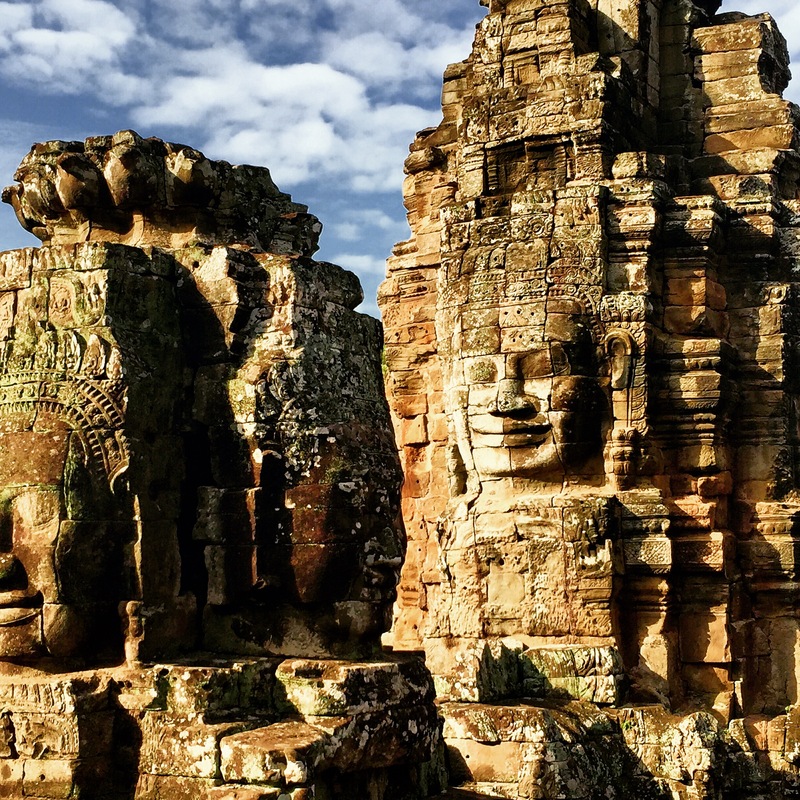 These legendary ruins tell the story of the ancient Khmer civilisation. See the temple in all its glory during the sunrise and by sunset.